Today we celebrate all the social, economic, cultural and political achievements of women, including our many friends and colleagues all over the world. 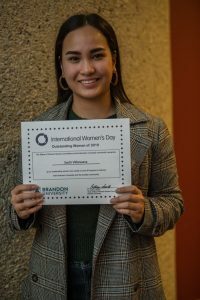 We are very proud to have many outstanding women lab members, including our honours student Sachi Villanueva that was recognized yesterday for all of her hard work and dedication to our community. I took a little trip down Trans-Canada to give a seminar (Plastic physiology: tales from the zebrafish and the very hungry caterpillar) and meetup with friends and colleagues in the Biology Department at UofM. It was fun meeting with many grad students over lunch and catch up with the physiologists of the department! We wrote a little summary of our recent research efforts to understand the effects of microplastics in aquatic organisms, check it here! All 4 undergraduate honours students in the lab presented their research progress today! They all did a great job (as did the other students! ), we all look forward to see their final presentation in April. Well done all! We are happy and very excited to announce that we have been awarded a Canadian Foundation for Innovation grant in collaboration with Drs. Cassone and Charette at Brandon University. This will allow us to develop a core facility, the Integrative Biology Core Facility, with state of the art equipment to pursue our research objectives. Unfortunately, after doing some really cool work on climbing gobies (and other projects), Raphaël had to go back to Réunion Island, hopefully he will visit again soon! But in the mean time we got him a brand new prototype of the new lab t-shirt featuring the new lab logo! We are happy to host a special research seminar by Raphaël Lagarde on Wednesday 9th August 9th at 3PM in BB. 3-42. Raphaël is a recipient of a Company of Biologist travelling fellowship and has been visiting the lab for the past 10 weeks to work on the biochemistry of climbing gobies. He will be giving a special seminar entitled: “Cliff Fish-hangers: Timing and mechanisms of upstream migration in 2 climbing goby species from Reunion Island”. Everyone welcome! 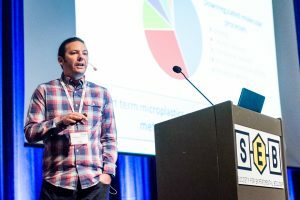 In July, I travelled to Gothenburg, Sweden to attend the annual meeting for the Society of Experimental Biology where I presented some of our recent work on microplastics in zebrafish. As always SEB was an awesome conference with great science and good times with old and new friends there!